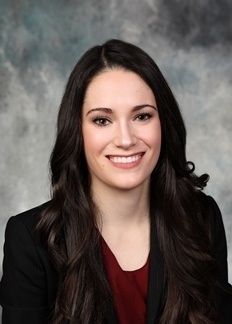 Annalee Clubb is an associate in the litigation department of Hooper, Lundy, & Bookman. Her practice focuses on complex commercial litigation in state and federal courts and includes breach of contract, unfair competition, business torts, consumer credit, and mortgage-backed securities litigation. Ms. Clubb has experience with various stages of litigation, including drafting dispositive motions, brief writing, trial preparation, and managing discovery and has significant experience in arbitration and consumer class action defense. Ms. Clubb maintains an active pro bono practice, including representing individuals seeking asylum in the United States. She has previously represented low-income clients in proceedings with the IRS, formulating offers in compromise as settlement for back taxes, interest, and fines owed. Ms. Clubb was formerly at a Top 10 global law firm, where she served on the firm’s Hate Crimes Taskforce, was the firm advocate for the Public Law Center, and represented the firm in the Orange County Coalition for Diversity in the Law, a collaboration of law firms and community partners aimed at recruiting diverse lawyers in Orange County.